The murder marked the first assassination of a New York City mob boss since 1985. A 24-year-old man was arrested Saturday in the shooting death of the reputed boss of the Gambino crime family, New York City police said. 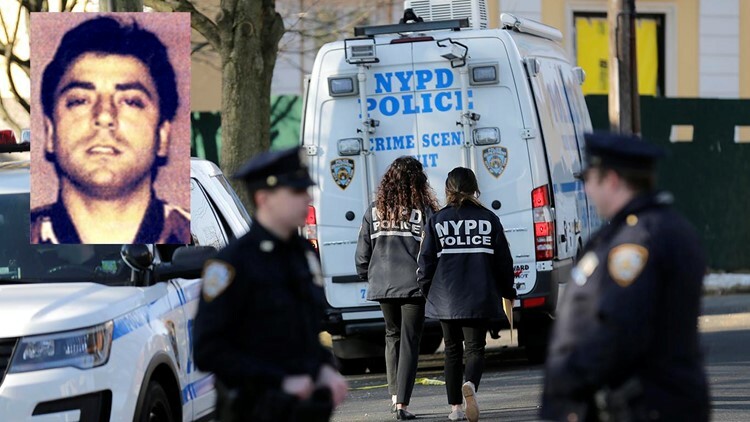 Anthony Comello was arrested in New Jersey in the death of Francesco Cali on Wednesday in front of his Staten Island home, said Chief of Detectives Dermot Shea, who stressed that the investigation is in its early stages. "There are multiple, multiple angles that we are exploring," Shea said at a news conference at police headquarters. "Was the person paid to do it? Were others conspiring to do this crime?" The 53-year-old Cali, a native of Sicily, was shot to death by a gunman who may have crashed his truck into Cali's car to lure him outside. Shea said Cali was shot 10 times. Shea said police have recovered the truck but have not recovered the gun used in the murder. Asked about Comello's arrest record, Shea said he "crossed paths in some limited circumstances with the NYPD" including getting a parking ticket on Staten Island the day Cali was killed. Comello will be extradited from New Jersey to New York to face charges, Shea said. Information on an attorney for Comello was not immediately available. Federal prosecutors referred to Cali in court filings in recent years as the underboss of the Mafia's Gambino family, once one of the most powerful crime organizations in the country. News accounts since 2015 said he had ascended to the top spot. Cali's only mob-related criminal conviction came a decade ago, when he pleaded guilty in an extortion scheme involving a failed attempt to build a NASCAR track on Staten Island. He was sentenced to 16 months behind bars and was released in 2009. Police say they are still investigating whether Cali's murder was a mob hit or whether he was killed for some other motive. The last Mafia boss to be rubbed out in New York City was Gambino don "Big Paul" Castellano, who was assassinated while getting out of a black limousine outside a high-end Manhattan steakhouse in 1985.